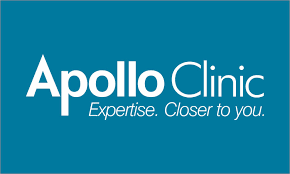 Apollo Clinic is a Multi Specialty Clinic in New Town, Kolkata. I don't have much words to explain but all i can say i was not happy with the approach from doctor. Dr. Subimal Ganguli is an amazing person and very experienced surgeon. He is not only conscientious but also an extremely knowledgeable and kind. He will explain everything with root cause and every possible way to cure the problem. I recently diagnosed with a gallstone almost 2.5 cm so suggested by one of our friend we visited Dr subimal for laparoscopic cholecystectomy and without any doubt he executed it very flawlessly. With all of his guidance i am in good shape rite now. We strongly recommend him to anyone who want to go for laproscopic surgery.